The S2000 Atomizer Coil Head is the replacement bowl coil head for the S2000 Dry Herb Atomizer. 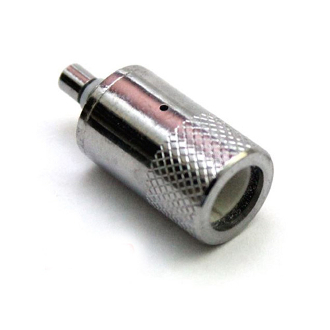 The Coil Head is an important part of your atomizer. Without it, there will be no combustion, therefore none of the much loved vapor the S2000 boasts. It is extremely easy to replace, simply unscrew the bowl head and replace with a new one. It’s as easy as that. Note: When packing the bowl coil, take care not to over pack as this will smash the coil and cause irreparable damage to the head and it will need to be replaced.